Cheetos Crunchy are our most popular crisp and for a very good reason, they are crunchy, tasty and cheesy. 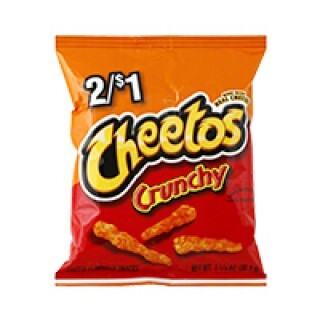 Those 3 simple yet powerful factors are what makes Cheetos so good, each crisp is cooked to perfection, and with every crunchy bite you get an amazingly unique and perfectly seasoned burst of cheesy goodness that leaves you wondering " wow why have I not had these before?!" Wherever you are in the USA, we will ship the African, Caribbean and Latino food item to you on time with free shipping.